SET amp owners thread | What's Best Audio and Video Forum. The Best High End Audio Forum on the planet! Just requesting all SET amp owners to mention their amps and speakers. This is a dream system for me, the end of road. Tone , emotion, transparency, musical flow, soundstage layering are all there. I'd love to see a picture of this set up! The description sounds very enticing but unfortunately my current setup in my small bedroom is not the best, so I feel a bit ashamed to post any pictures right now. I will say that due to the low power output, this was always intended to be bedroom system and regardless of the poor layout, I'm still enjoying every minute of this system. It is everything I thought it would be and more. SETDrugs, good to hear from you. WBF is a lonely place for Zu owners. Only me w Definitions 4, Caesar w Druids V and you now w Soul Supremes, have gone public LOL. I've heard Mayer amps recently and can imagine they'd be a great match w yr Zus. This was part of the reason I chose to go public with my system. I wanted to show support to other Zu owners and to sort of make a statement that if the rest of the ancillary components in the chain are of sufficient quality and design, that the upper Zu speakers that we have are very hard to beat in their price range. This is especially true for the qualities that I was striving for: tone, emotion, and musicality. It turns out that Thomas has a very similar goal when designing his amps and preamps so I had to dig deep into my pockets to give this a shot. The hard part was that I never envisioned when I got into this hobby 6 years ago that I would spend this much on 2 channel audio. Do I have any regrets? Not at all. I figured I worked hard all my life to be able have a decent job after school and being single right now was the right time to live out some of my dreams. Will you get similar results as me with Thomas Mayer components on your Zu Definitions? This is kind of tricky because my system front end is all digital based, not analog like yours. Also as my screen name suggest, I'm a diehard SET guy. I don't listen crazy loud and my setup is in small intimate setting - my bedroom. Furthermore, my system didn't really come into its own until I added the Mayer 10y preamp. Imho, once you're set on the speakers the preamp is the most important component in the chain. 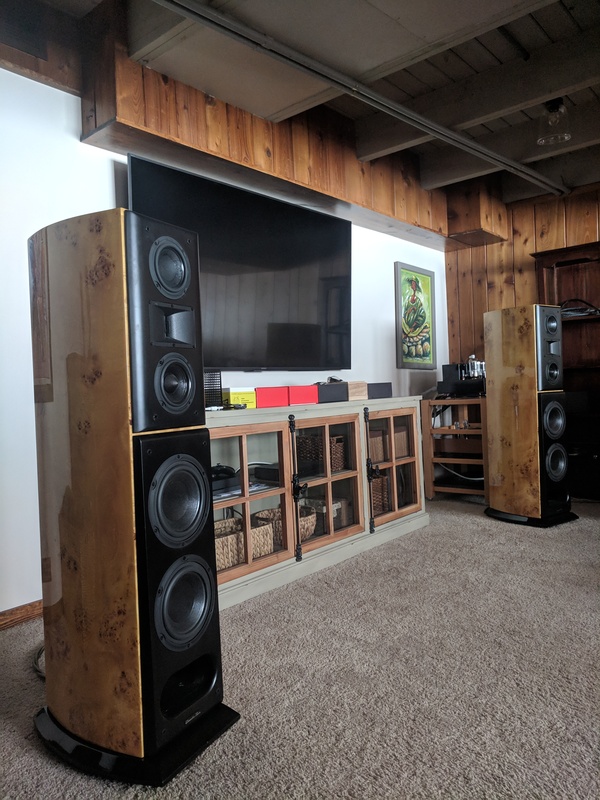 The Mayer 10y really elevated the performance of my system and brought both the dac ( Yggdrasil) and power amp to a level that I didn't think was possible. Everything just came together beautifully and I've never heard voices and instruments sound so real and natural. Every single attribute of audio that I value is all here but most importantly the tonal balance , musicality, and effortless flow to music is ultimately what clinch this feeling for me. I couldn't agree more. Perfectly said. I truly believe that my system has reached that level where its just about the music , the emotion and pleasure. I can't think of a more therapeutic way to unwind and relax after a stressful day at work. Indeed. I was stuck in the analysing mind set listening to music for years. Now I get to take the white coat off and use my ears (and emotions) let it flow, enjoy the moment and live with the illusion. SETs can do that, not hear fit yet from solid state and have heard lots of it. SETDrugs (I'm guessing this isn't yr real name LOL), you may take the prize for the best amplied Zus out there. You should reach out to Audiophile Bill and esp Zero Star General, who both run Mayer amps. I'm sure I would get somewhat better results running my Definitions off Mayer, but I'm not sure his 20W 211s would quite energise my space which is somewhat larger than yours at 800 sq ft/5500 cub ft. I guess the 10Y preamp could certainly work however. Thank you so much for confirming to me how good Zus are on the communication and musicality fronts. I'm glad I'm not the only one here who feels this way. It makes a blessed relief from all the naysayers. LM 91A to be used when the Active Horn system is finished..
Line Magnetic 508ia powering Acoustic Zen Crescendos. Thanks Adamaley, its an honor to be here with you guys. Beautiful system you have there. I think your power amp seems well suited for your setup since your Definition has an extra Zu full-range driver compared to my Supreme not to mention you have a decent size room to fill. But where I think the most cost effective way to implement the Mayer components ( if you so choose this path) is via his phono preamp and the 10Y linestage. 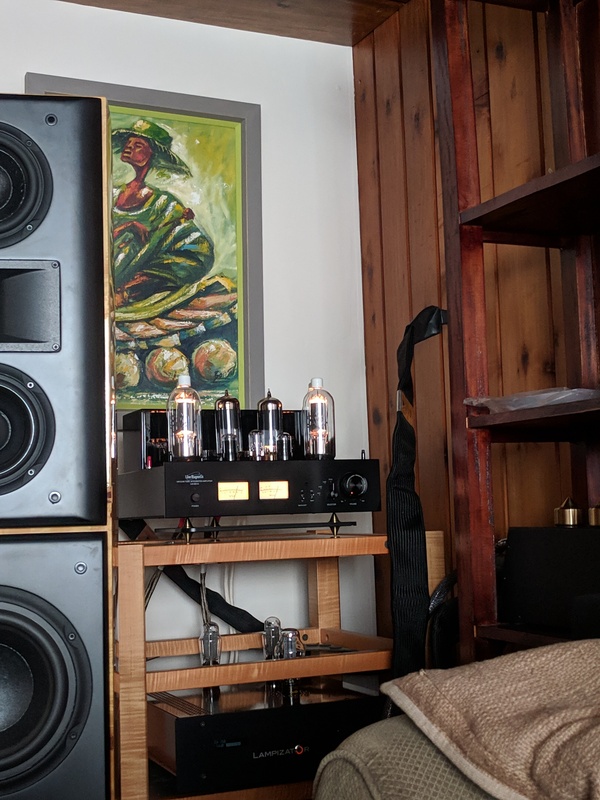 Since you have analog front end, the Mayer 10Y is best paired with one of his Phono preamp. Since my setup is digital based, maybe Audiophile Bill or the General can correct me here but most people that invest in Mayer components that run analog front end get both his 10Y as well as one of his Phono pre. I'm sure they would make great music together and elevate any system. Just something to think about. SETDrugs, no need for phono, I run a Straingauge which is a "phono-less" system. But the 10Y is a good call. Even better for you. I will never say anything is the best in this hobby because that's so subjective but I believe the Mayer 10y is one of the most magical components that I've been around in this hobby. Magical in terms of elevating a system to a level that you may have doubted it could reach. My first night listening seriously to my system with 10y inserted , I was in trance with my jaws dropping in amazement and eyes wattery for most of night. Any last trepidation I may have had with my system or Soul Supreme vanished liked that. A moment of relief, joy, and musical satisfaction that I'll never forget. I don't want to sidetrack this thread but if you have any questions about my Mayer 10y feel free to PM. I think I will promote it again this month to the Newsletter and home page. Lets get some serious exposure for these great SET systems.